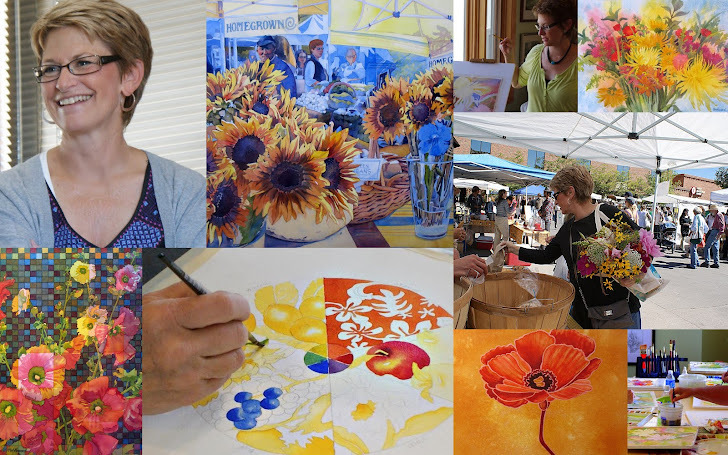 Welcome to the artist's blog of Pat Howard! The Painted Prism is an inspiring and inviting Watercolor Painting Studio -- full of workshops, demos, paintings (finished & in progress), photos, projects, lessons, and other watercolor news and helpful information. 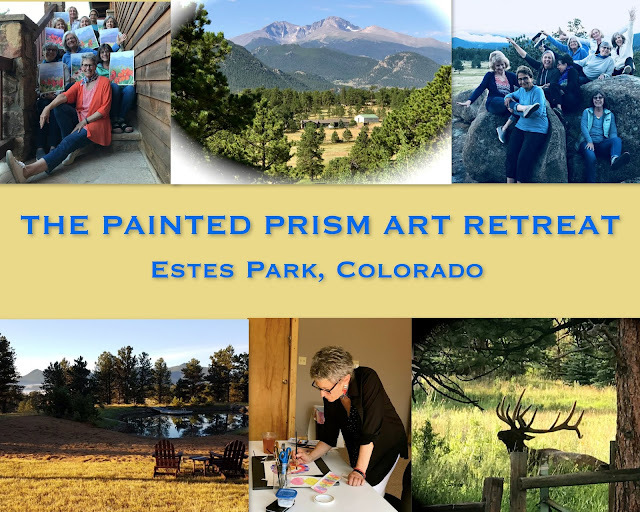 Excited to announce our annual Painted Prism Art Retreat in Estes Park, Colorado. To find out more about this year's retreat, CLICK HERE. 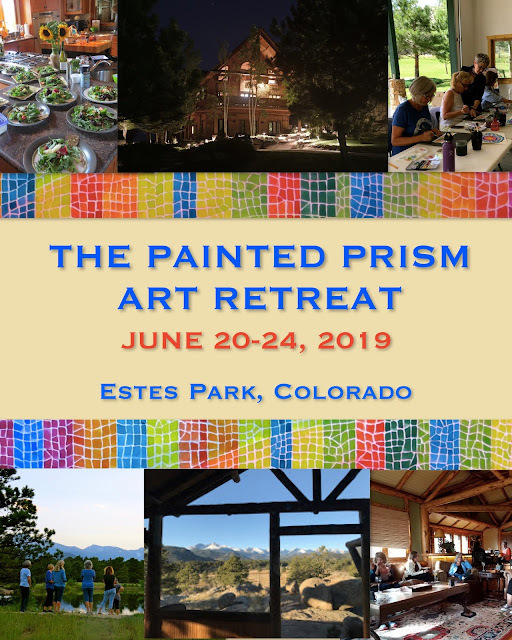 TO REGISTER, with a deposit of $250, click here. 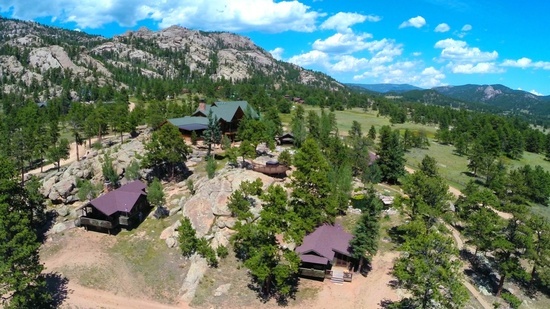 describing how to book your lodging with us. The balance of $300 will be due by June 1st. in this relaxed and friendly environment!